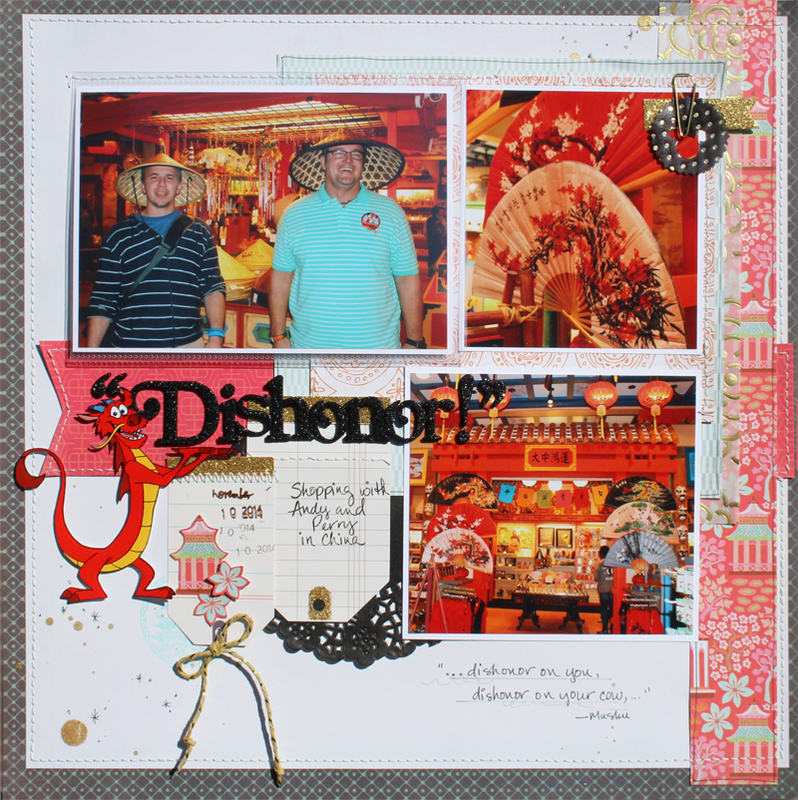 Creatively Savvy: "Dishonor on you, dishonor on your cow!" LOL! 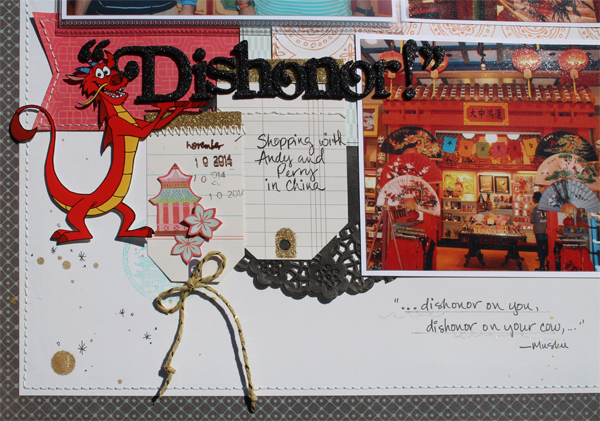 It's one of my favorite Mulan quotes and I really just wanted to use it on a layout. 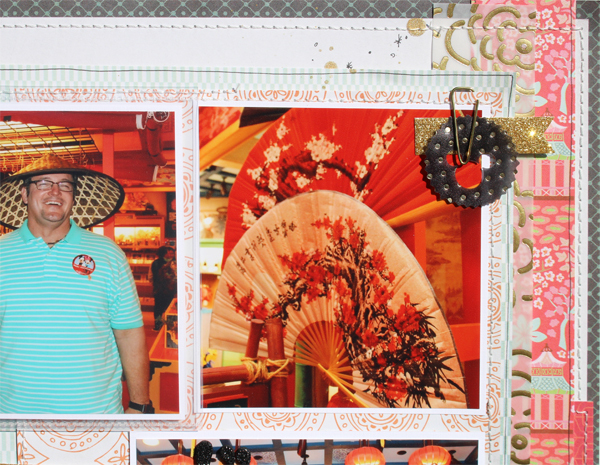 I have these silly shopping photos of my husband and my friend's husband at Epcot China and I thought it would be perfect. As I was looking for paper to use I was so surprised when the New BasicGrey Dear Heart collection was exactly what I needed for scrapping Epcot China!